Farmers in the Spanish region of Extremadura — an area in the west that borders Portugal — are calling on politicians in Madrid and Brussels to do more to help. The region is home to six out of the 10 poorest cities in Spain and according to the University of Extremadura around 38,000 people have left since 2012. 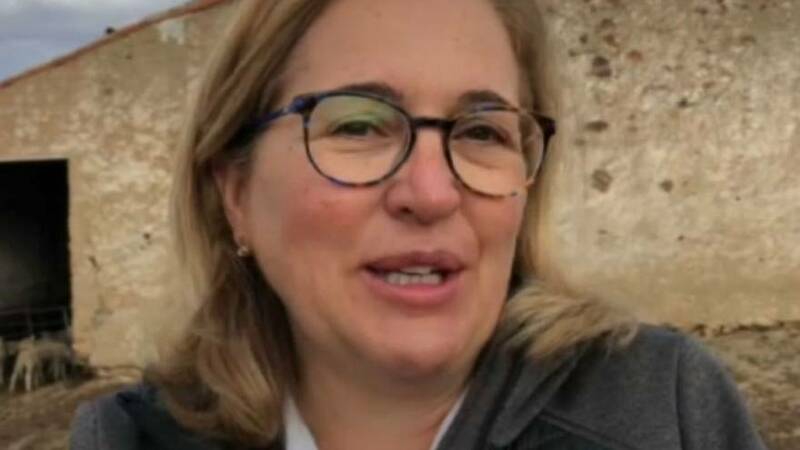 Brigida Lopez Godoy, who works as a sheep farmer on the outskirts of the town of Villafranca de los Barros, says the countryside is too often ignored or misunderstood by politicians. Lopez Godoy said her farm was a family business that was mostly focused on survival. She said she took out enough money to pay herself a salary and take care of her mother but the rest was reinvested. She says the farm depends on a subsidy from the EU’s €50bn Common Agricultural Policy (CAP) scheme to survive but says Brussels politicians’ do not really understand the realities of farming in this part of Europe. She said: “If it wasn’t for the CAP we wouldn’t be here right now, we wouldn’t be able to live because this is not profitable. Politicians are "wasting time and energy with silly things"
She says little is being done to prepare for the future while Spanish politicians are “wasting time and energy with silly things”. “It’s a disaster”, she added.